Shanghai-based Baozun Inc. (BZUN) posted a 23.5% jump in net income for the second quarter as strong growth from its existing online stores and sales growth from existing and new apparel brand partners drove services revenue higher. Shares of the e-commerce service provider rose more than 5% in the premarket after the top and bottom line exceeded the Street’s expectations. Net income attributable to the company’s ordinary shareholders climbed 23.5% to $5.6 million or $0.09 per American Depository Share (ADS). 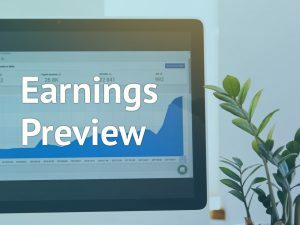 Non-GAAP earnings surged 34.1% to $8.7 million or $0.15 per ADS. Total net revenues soared 30.5% to $175.2 million. Services revenue jumped 51.6% primarily attributable to the rapid growth of the company’s consignment model and service fee model, and in particular, growth in sales from existing brand partners and the addition of new brand partners in the apparel category. Total gross merchandise volume (GMV) advanced 68.8% for the quarter helped by a 79.5% growth in the GMV under the service fee business model and the consignment business model. The number of brand partners grew 15.7% year-over-year to 162 as of June 30, 2018. The number of GMV brand partners increased 20.9% to 156 as of June 30, 2018. Looking ahead, Baozun expects GMV to grow to over 20 billion Chinese Yuan and services revenue to grow faster than 50% year-over-year during the second half of 2018. 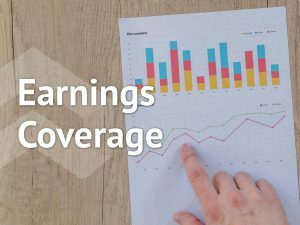 For the third quarter of 2018, the company predicts total net revenues of about 1.09 billion to 1.12 billion Chinese Yuan. “By enhancing our IT capabilities and expanding the breadth and depth of our technology services, we are able to create more value for our brand partners and drive future sustainable growth. We will continue to invest in building our long-term technological competitive advantage to further reinforce our market-leading position in China’s brand e-commerce market,” executive chief Vincent Qiu said. Shares of Baozun ended Tuesday’s regular trading session down 4.68% at $52.72 on the Nasdaq. The stock has risen more than 60% for the past year and more than 67% for the year-to-date.